The Flow-Safe® II EZ Disposable CPAP System from Mercury Medical is the only system that has so many advantages, it gives you an advantage in life-saving emergencies. A major leap in product innovation, it takes Emergency Care to a whole new level. 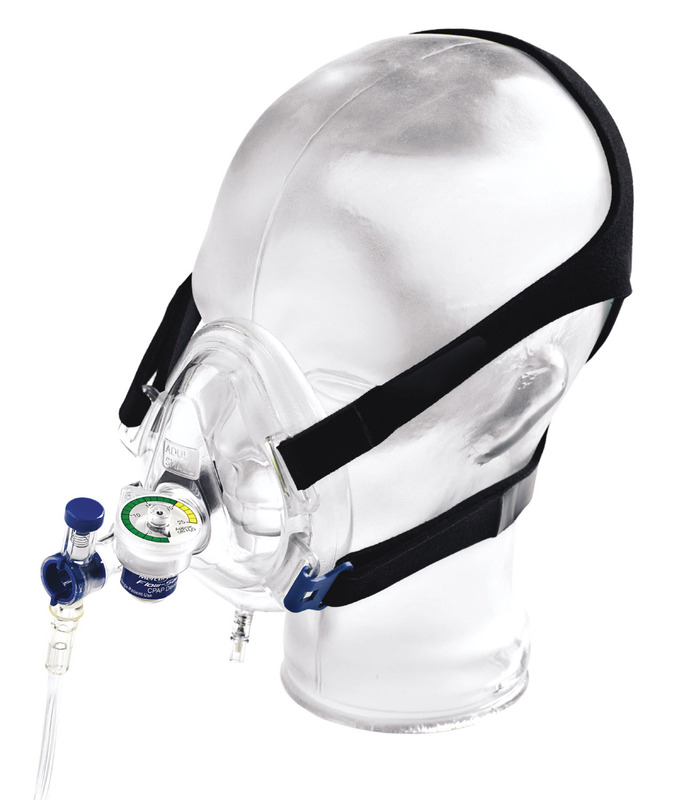 Clinicians can deliver aerosol & CPAP therapy with just one oxygen source. The Flow-Safe II EZ conserves oxygen while maintaining high FiO2 delivery. Saves resources and represents a major advantage on long transports. 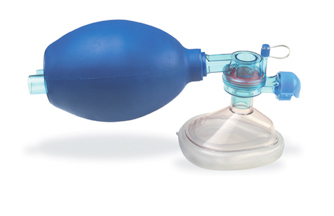 Increasing flow may be necessary when activating the nebulizer. Only the Flow-Safe II EZ system features a built-in manometer for verified pressure readings. No assembly of separate apparatus. And the pressure relief valve automatically adjusts to avoid excess pressure. 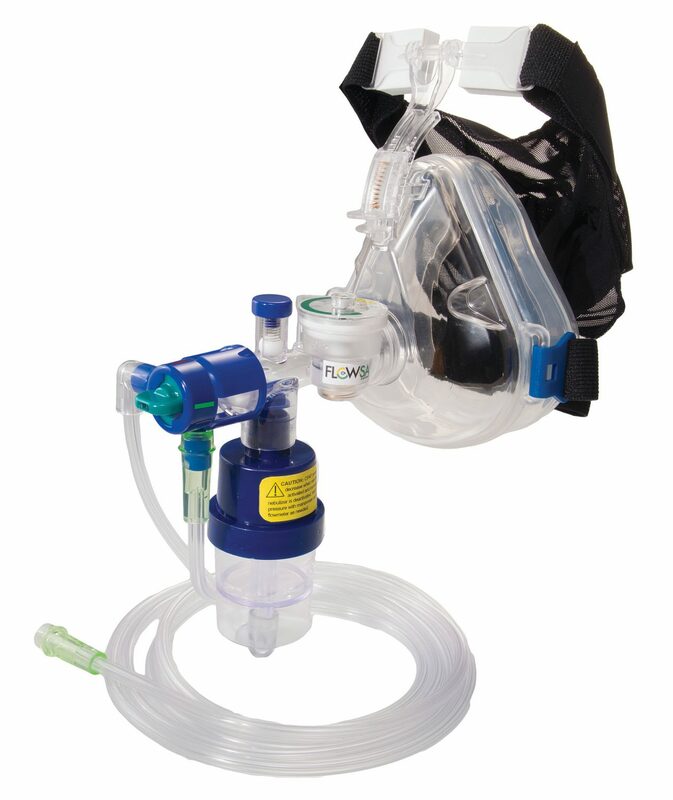 The Flow-Safe II EZ mask is lighter, easier to handle and is designed to form a better anatomical seal. The elastic head harness is easy-to-place with velcro straps that easily adjust for patient comfort. 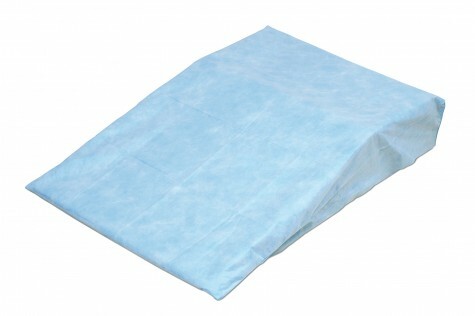 Soft Forehead Padding easily adjusts reducing pressure on the nose.